112. Persian drill. The stock of the drill has a very quick thread cut upon it and revolves freely, supported by the head at the top, which rests against the body. 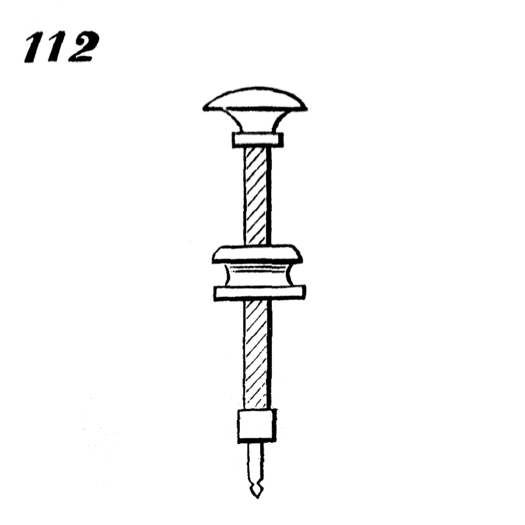 The button or nut shown on the middle of the screw is held firm in the hand, and pulled quickly up and down the stock, thus causing it to revolve to the right and left alternately.